10 Mixed Martial Arts Gyms guaranteed to get you fight ready! Call it the new "Fight Club." Mixed Martial Arts (MMA) is the fastest-growing sport in the world, adding fans of all ages and types at an astonishing rate (some reports cite as much as 14% growth per year). MMA combines boxing, judo, kickboxing and jujitsu in the kind of bloody spectator sport not seen since the days of the gladiators. Fans are passionate about their favorite fighters, arena tickets sell out immediately and the pay-per-view numbers are off the charts: alone, the views of Ultimate Fighting Championship matches generate about $250 million each year. There are hundreds of places offering MMA training. 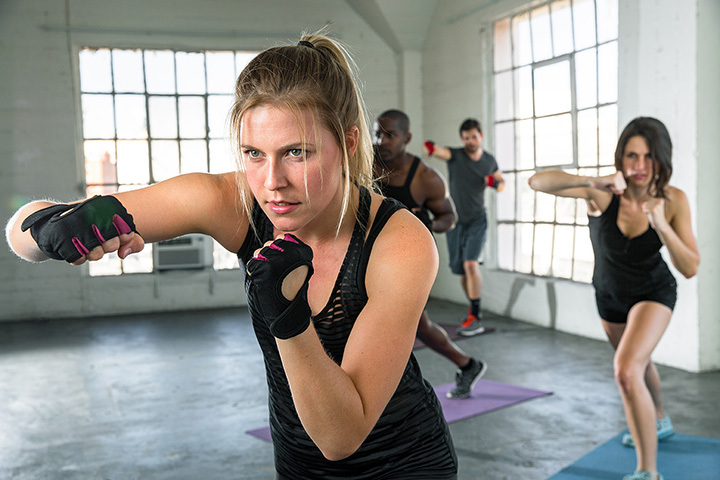 For someone who just wants a fierce workout, some regular gyms offer classes using MMA techniques to get in shape. But for those who take their cage matches seriously, here are ten of the top MMA training facilities in the US. It has a heavy emphasis on Brazilian Jiu-Jitsu, and has trained well over 100 fighters for various pro MMA matches. Instructors include Olympic medalists and World Champions from the ring. Their program is so successful that they've opened a few other locations in Florida. They only opened the facility in 2011, but in that short time, have trained some incredible athletes. No surprise - the owners are fighters themselves. One of their teams has been featured on the reality show, The Ultimate Fighter. At 24,000 square feet, it's one of the biggest training facilities in the world. But all that space allows them to offer their clientele - which counts many champions - some additional services. To name a few, there's a wrestling school, Crossfit training and on-site chiropractor. Which is useful after some goon has just jacked up your neck in chokehold. Bruce Lee is often credited with starting "mixed martial arts" by advocating the use of various fighting styles over just one. And instructor Greg Nelson is one of a very few to be able to pass on Lee's fighting system of Jeet Kune Do: his trainer was one of only three that Lee personally accredited. Greg Jackson is acclaimed as one of the top MMA coaches in the world - he's been named "Coach of the Year" by multiple organizations. At this facility, aspiring fighters can build a core program. Once they show their stuff, they may be invited to join Jackson's super-exclusive "MMA Pro Gym" which trains professional fighters. Emphasis: "invitation only." It's something of a "Mecca" for MMA types and one of the most popular and successful facilities anywhere. Look around and you're likely to find yourself training to a professional fighter. For that reason, there are usually reporters hanging around, too! Despite the prevalence of MMA gyms in the area (almost 200), this one consistently attracts top talent. It's flown under the radar for a few years, but now, it's reputation for training marquee fighters is out in the open. It's regularly ranked among the Top 5 MMA gyms -- in the world. You have to keep scrolling on their website to read the names of all of the elite fighters who have trained here. The founders are skilled in Brazilian fighting techniques - which is appropriate since vale tudo (Portuguese for "anything goes") tournaments are a key element to modern MMA. It's one of the most sought-after destinations for fighters worldwide. When you need to focus on your "striking" skills, this is the place. UFC champion Ronda Rousey came out of this fight gym. Enough said. Matt Hume is the founder and head trainer. How good is he? Well, the Sheik of Abu Dhabi invited him to come to that nation and instruct his personal combat team. MMA royalty have also utilized Hume's skills in upping their grappling skills.